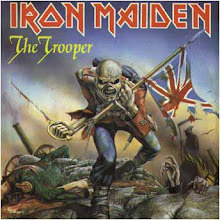 Paul Bruce Dickinson was born in the small mining town of Worksop, Nottinghamshire(born 7 August 1958).Paul Bruce Dickinson is an English singer, TV presenter, airline pilot, radio show host, record producer, fencer, author, and songwriter best known as the vocalist of the metal band Iron Maiden. Dickinson performed for some local bands including Styx (not the American band of the same name) in 1976, Speed, (1977-1978), and Shots in early 1979. He then joined hard rock band Samson later in 1979, where he gained some popularity. In this band he went by the name of "Bruce Bruce." He left Samson in 1981, citing musical differences. Shortly afterwards, in 1981, Dickinson was hired as Iron Maiden's new vocalist, debuting for that band with the 1982 album The Number of the Beast. During his time in that band, they issued a series of high impact releases,resulting in Dickinson gaining worldwide fame, and becoming one of the most acclaimed heavy metal vocalists of all time. 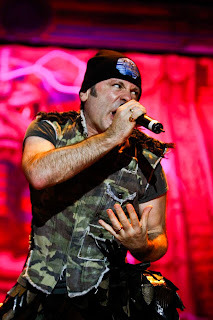 Dickinson quit Iron Maiden in 1993 in order to pursue his solo career, being replaced by Blaze Bayley. Dickinson's solo work ranged a wide variety of heavy metal and rock styles. Dickinson rejoined Maiden in 1999 along with guitarist Adrian Smith. Since then, Dickinson has only released one more solo album, Tyranny of Souls. He is the older cousin of Rob Dickinson, lead singer of British alternative rock band Catherine Wheel. In his personal life, he is known for his strict abstinence from drug use.